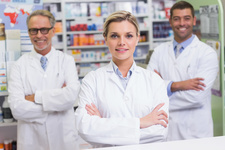 Founded nearly 50 years ago and employing over 2,500 clinical, regulatory, and operational pharmacy professionals, Comprehensive Pharmacy Services is the nation�s oldest and largest provider of pharmacy support services to more than 700 hospitals and healthcare facilities across the United States and Puerto Rico. CPS helps hospital pharmacists tackle complex problems such as medication reconciliation, hyper-inflated drug costs, standardization, centralized distribution, regulatory & compliance, and 340B programs leading to increased quality, reduced admissions and lower costs. Services provided by CPS include pharmacy management, pharmacy consulting, specialized pharmacy services, telepharmacy, 340B program compliance assurance, ambulatory & retail pharmacy services, medication related transition of care, and pharmacy analytics. We offer a full range of pharmacy services, including in-house and off-site models, backed with tremendous purchasing power. Through our in-house pharmacy management program, we provide a comprehensive package of pharmacy services, including clinical initiatives and The Joint Commission compliance programs. CPS can employ the entire pharmacy staff and provide access to our national volume-purchasing program, which is backed by over one billion dollars in annual purchases. We can also furnish computer and automated dispensing systems. CPS's in-house pharmacy option is a perfect model for long-term acute care or full-service hospitals, of all sizes. 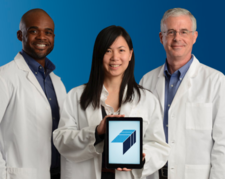 Our off-site pharmacy model is designed for small and rural hospitals, behavioral health, rehabilitation, subacute hospitals and long-term care facilities. This model is designed to minimize in-house inventory management costs, reduce a hospital's overall pharmacy budget and provide superior pharmacy clinical services through our regional network. 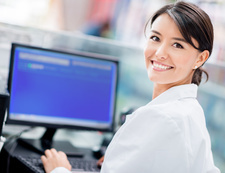 Our customized solutions may include versions of either in-house and off-site pharmacy models or a combination of an in-house pharmacy staff with off-site inventory management. CPS's clinical services begin with the tried and true basics of formulary management through generic and therapeutic substitution and extend to best practices and clinical guidelines. Clinical drug monitoring and pharmacist interventions are the norm, not the exception. Our pharmacists work within the interdisciplinary teams of the hospital to oversee and improve the medication management process. Comprehensive Pharmacy Services is the nation's leading independent pharmacy management service provider to acute care hospitals and behavioral systems, delivering pharmacy service value through financial, operational, clinical, therapeutic, and regulatory expertise. PharmaCare Services is a national pharmacy management and consulting company that was formed in 1996 by hospital pharmacists who helped pioneer the pharmacy outsourcing concept - serving acute care hospitals, long term care, psychiatric, rehabilitation, and surgical hospitals. 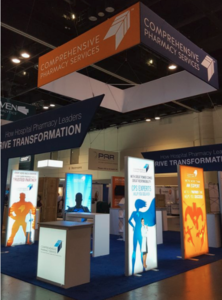 PharmaSource is a leading provider of pharmacy management services with years of experience and expertise who offers management solutions developed to enhance services, improve patient care, and control costs. Visit our website for more information.